Beautiful scenery, great running paths all across the city, and plenty of fresh air ! There is everything to like about running in the capital of Iceland. As a running city Reykjavik has improved immensely in the last few years. New paths are made every year. The same applies to a lot of other towns in Iceland. Running has grown a lot in popularity over the last few years. Good running paths are never far away, wherever you are. And the number of runners also grow every year. Most of Reykjavik’s running paths are made of asphalt and most of them are connected. 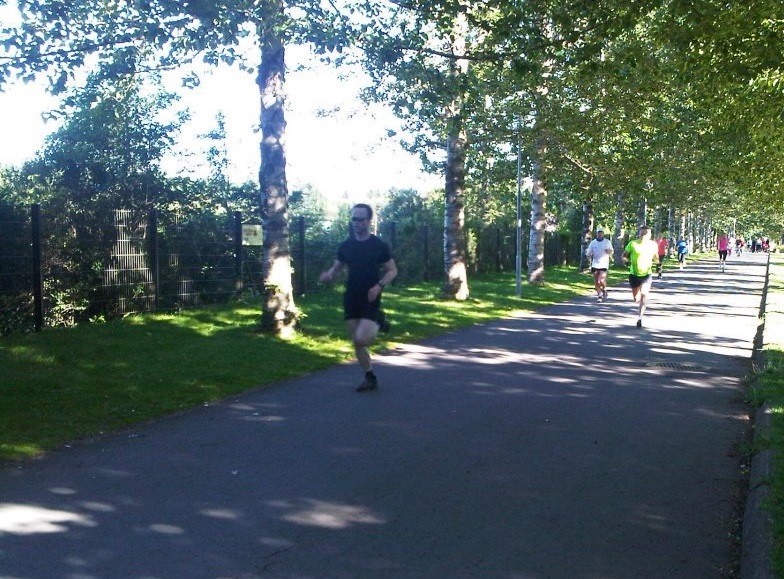 In many cities parks are the main running areas but not so in Reykjavik. The parks, although nice, are not very big and most of the best and scenic paths can be found near the coastline, both on the north and south side of the city. well over 20 km, only crossing the road once. The map of The Long Run shows part of this. Other popular paths are in Laugardalur, where Reykjaviks largest swimming pool is located. In Elliðaárdalur there are trails in a small “forest” which are very popular in the summer. On the edge of town there is Heiðmörk, with tens of kilometers worth of woodland trails. Again these are best enjoyed in the summer, they can be a bit difficult in the winter.